The Africa Mercy hospital ship sits moored in Conakry, Guinea in this undated photo. A team of doctors in Edmonton are remotely helping patients seeking treatment on a hospital ship that travels up and down the West African coast. 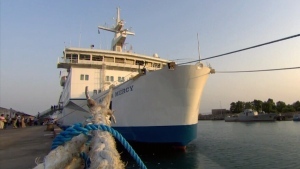 Once a Danish passenger ferry, today the Africa Mercy is the largest non-governmental hospital ship in the world. Staffed by a 450-strong volunteer crew, the ship is operated by Mercy Ships, an international charity. 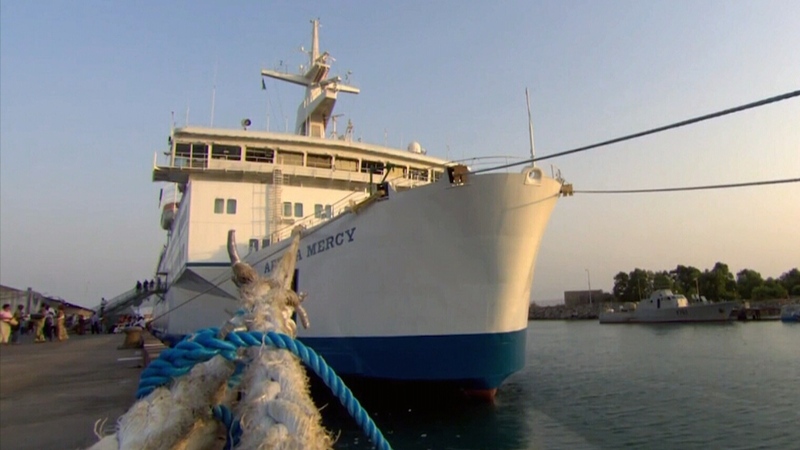 The Africa Mercy generally spends about 10 months at each port. Most of the patients Henderson meets have tumours on their heads, necks and mouths that have grown dangerously large. While the Africa Mercy contains advanced medical equipment that many West African hospitals lack, it is missing one very important thing. 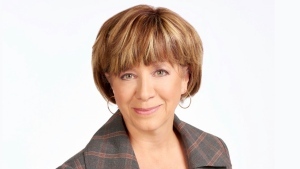 “We do not have a full-time radiologist,” Henderson said. That’s where Edmonton-based radiologist Dr. Greg Raymond and his team are stepping in. 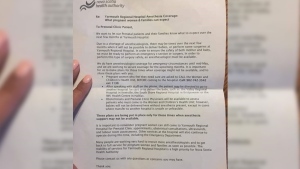 After patients receive scans or X-ray aboard the ship, the images are sent to Edmonton for analysis. Raymond and his colleagues then advise onboard surgeons how to proceed. Over the past decade, they say they’ve reviewed thousands of cases -- and all in their spare time. While the news Raymond and his team deliver from afar is not always positive, they still play an indispensable role on the Africa Mercy. “We need them,” Henderson said. 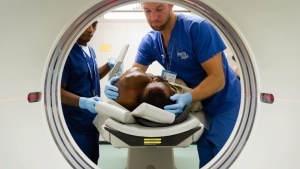 A patient receives a CT scan aboard the Africa Mercy hospital ship in this undated photo.